This section gives an overview of sow housing options. There are different types of group housing systems and each has pros and cons. Regardless of the type of sow housing, PIC recommends to have the same production targets as in individually housed facilities. Different flows can be implemented to optimize the performance in each type of group housing system. 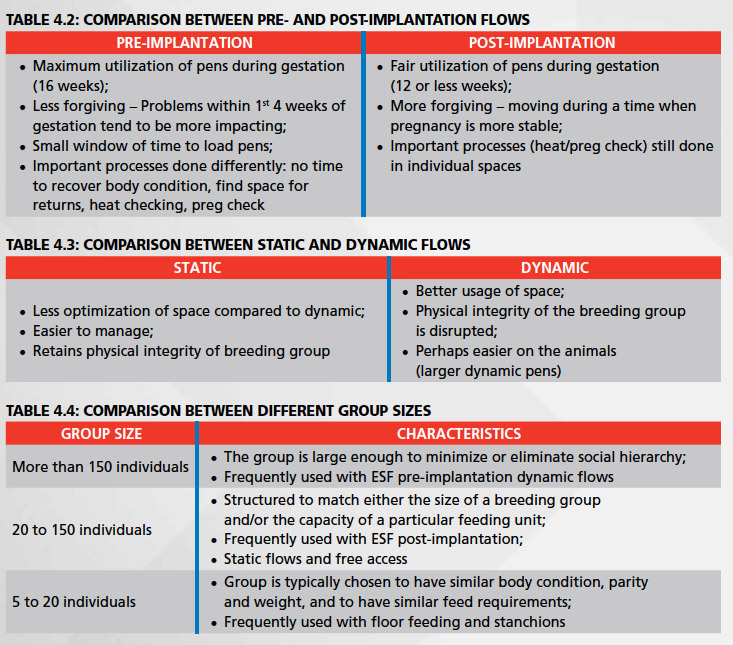 The flows can differ in terms of mixing time (pre- or post-implantation) and group integrity (static or dynamic). The size of the farm and breeding groups will also be a factor for optimal performance. 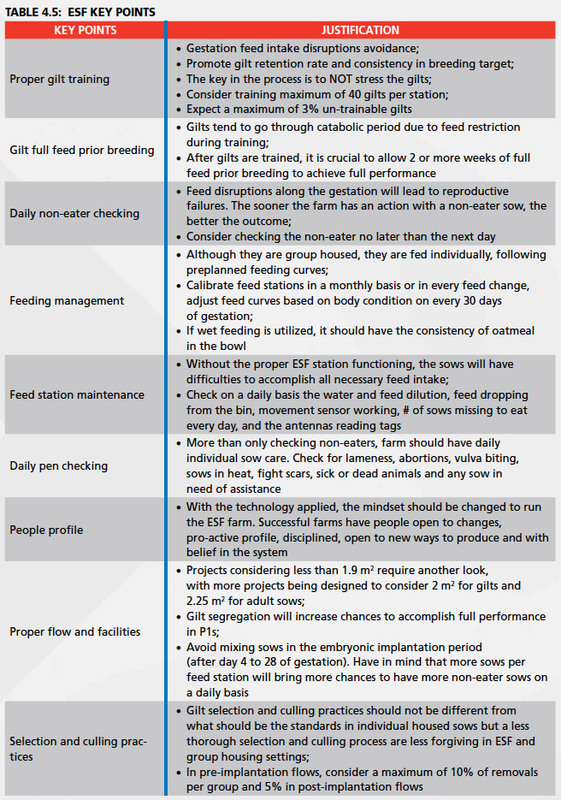 ESF, or Electronic Sow Feeding, is one of the available options of feeding in group housing in the industry. This system can also be a platform on top of which more technology for the daily farm management can be applied. 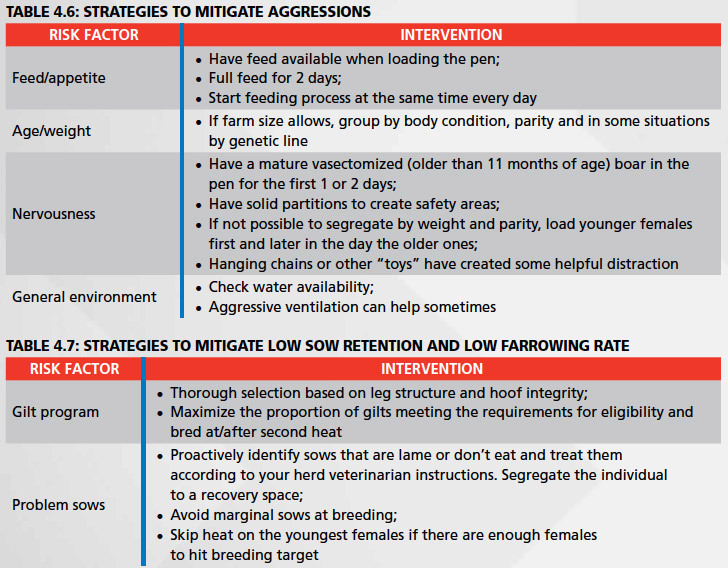 The most common issues reported by producers across the globe in group housing are (1) aggressions, (2) low retention and (3) poor farrowing rate.